Have you traveled to another part of the country, or the world? 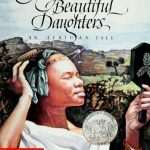 Perhaps you’ve seen pictures of the Sahara Desert, a coral reef, African grasslands teeming with wildlife, or the Rocky Mountains. Have you noticed things about the natural world in these places that are different from where you live? Perhaps there is more or less plant life, or different types of animals. This diversity is part of what makes our home planet unique and interesting. 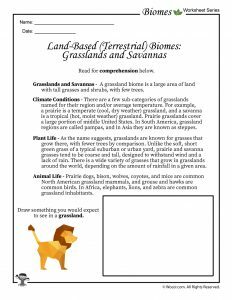 In this unit, you’ll learn about biomes — like deserts, oceans, and grasslands — and why they’re both important and fun to study. 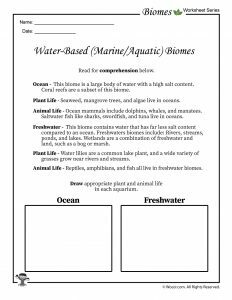 And scroll down for some biomes worksheets for the classroom, too! 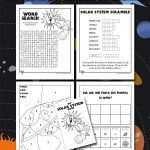 Biosphere is the scientific term for all of the living elements and their environments on our planet, from the earth’s crust up into the inner atmosphere. 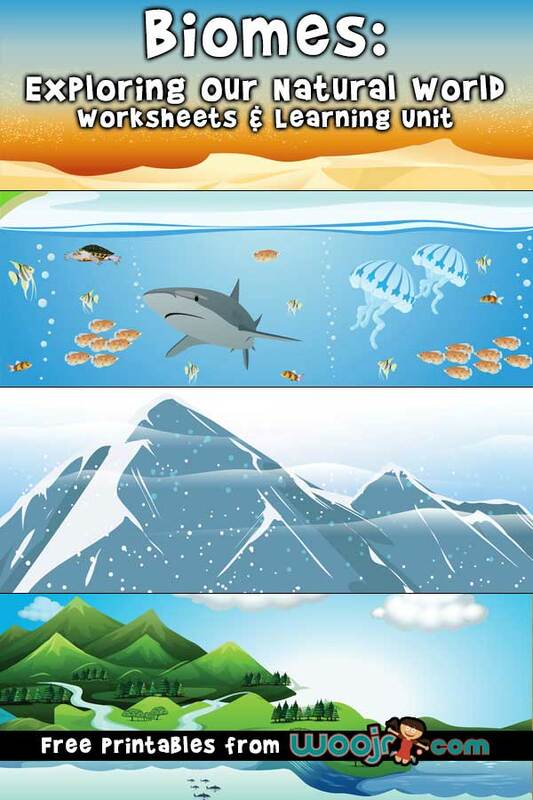 A biome is a major community of animals and plants living in a unique physical environment and climate. Biomes are often characterized by their predominant plant life and precipitation (rainfall). An ecosystem is everything that co-exists within a given environment. An ecosystem can exist within a biome, and can be as small as a tidal pool or as large as most of a continent. A population of plants or animals refers to the total number of a given type or species living in the same area, like a herd of bison or a pride of lions living in one region. A habitat is the type of environment where a plant normally grows or an animal normally lives (think of where a cactus normally grows or a fish normally lives). An adaptation occurs when a plant or animal changes its behavior or physical features in order to better survive within its environment. 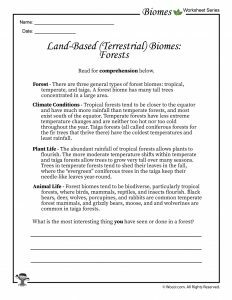 There are three general types of forest biomes: tropical, temperate, and taiga. A forest biome has many tall trees concentrated in a large area. Climate Conditions – Tropical forests tend to be closer to the equator and have much more rainfall than temperate forests, and most exist south of the equator. Temperate forests have less extreme temperature changes and are neither too hot nor too cold throughout the year. Taiga forests (all called coniferous forests for the fir trees that thrive there) have the coldest temperatures and least rainfall. Plant Life – The abundant rainfall of tropical forests allows plants to flourish. The more moderate temperature shifts within temperate and taiga forests allow trees to grow very tall over many seasons. Trees in temperate forests tend to shed their leaves in the fall, where the “evergreen” coniferous trees in the taiga keep their needle-like leaves year-round. Animal Life – Forest biomes tend to be biodiverse, particularly tropical forests, where birds, mammals, reptiles, and insects flourish. Black bears, deer, wolves, porcupines, and rabbits are common temperate forest mammals, and grizzly bears, moose, and and wolverines are common in taiga forests. A grassland biome is a large area of land with tall grasses and shrubs, with few trees. 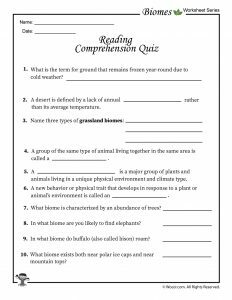 Climate Conditions – There are a few sub-categories of grasslands named for their region and/or average temperature. For example, a prairie is a temperate (cool, dry weather) grassland, and a savanna is a tropical (hot, moist weather) grassland. Prairie grasslands cover a large portion of middle United States. In South America, grassland regions are called pampas, and in Asia they are known as steppes. Plant Life – As the name suggests, grasslands are known for grasses that grow there, with fewer trees by comparison. Unlike the soft, short green grass of a typical suburban or urban yard, prairie and savanna grasses tend to be coarse and tall, designed to withstand wind and a lack of rain. There is a wide variety of grasses that grow in grasslands around the world, depending on the amount of rainfall in a given area. Animal Life – Prairie dogs, bison, wolves, coyotes, and mice are common North American grassland mammals, and grouse and hawks are common birds. In Africa, elephants, lions, and zebra are common grassland inhabitants. This is the coldest biome aside from polar deserts; a harsh, treeless environment with very low temperatures. Tundra biomes exist at both high altitudes near mountaintops and close to the Arctic Circle. Summers are very short and winters are very long in the tundra. Climate Conditions – It’s so cold in a tundra environment that the top layer of soil is frozen year-round, known as permafrost. 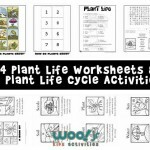 Plant Life – Grasses, shrubs, and plants that stay close the ground grow here. Animal Life – Many animals migrate from the tundra for the winter, returning for the short summer season, including mosquitoes, birds like snowy owls and ptarmigans, and caribou. Some animals remain year-round and even change the color of their fur from brown to white, including the arctic hare and arctic fox. Did you know that a lack of rain (less than ten inches per year), rather than temperature, is what makes a desert biome? While most of us imagine blistering sunlight, cacti, and sand dunes, both Antarctica and the North Pole are also considered deserts due to their lack of annual rainfall. Climate Conditions – Deserts are very dry and tend to be hot and/or sunny during the day and very cold at night. Plant Life – The cactus is a quintessential desert plant, with sharp needles designed to protect them from animals. Some grasses and shrubs also grow in deserts. Trees that grow in deserts are not very tall, and have root systems that extend deep below the surface in order to conserve water. Animal Life – Most desert animals are nocturnal, an adaptation allowing them to escape the daytime sun and heat. Common desert animals include: Burrowing owls (which nest underground), camels, and snakes. This biome is a large body of water with a high salt content. Coral reefs are a subset of this biome. Plant Life – Seaweed, mangrove trees, and algae live in oceans. Animal Life – Ocean mammals include dolphins, whales, and manatees. Saltwater fish like sharks, swordfish, and tuna live in oceans. This biome contains water that has far less salt content compared to an ocean. Freshwaters biomes include: Rivers, streams, ponds, and lakes. Wetlands are a combination of freshwater and land, such as a bog or marsh. Plant Life – Water lilies are a common lake plant, and a wide variety of grasses grow near rivers and streams. Animal Life – Reptiles, amphibians, and fish all live in freshwater biomes. 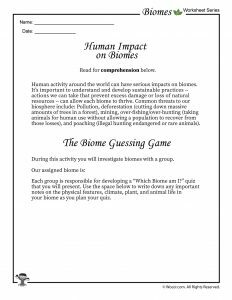 Human activity around the world can have serious impacts on biomes. It’s important to understand and develop sustainable practices — actions we can take that prevent excess damage or loss of natural resources — can allow each biome to thrive. Common threats to our biosphere include: Pollution, deforestation (cutting down massive amounts of trees in a forest), mining, over-fishing/over-hunting (taking animals for human use without allowing a population to recover from those losses), and poaching (illegal hunting endangered or rare animals). 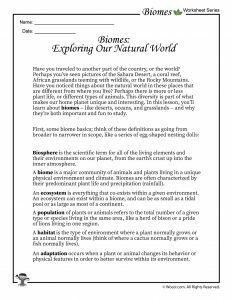 Biosphere – All living things and the environment in which they live on a planet. Biome – A major community of animals and plants living in a unique physical environment and climate. 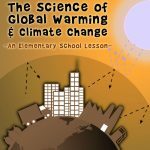 Climate – The typical weather conditions in a given area of a period of many years. Ecosystem – A group of both living and non-living things that make up an environment. Habitat – The environment where a plant normally grows or an animal lives. Population – Several plants or animals of the same species living in the same area. 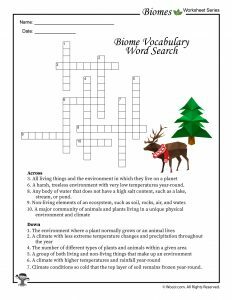 Biodiversity – The number of different types of plants and animals within a given area. Adaptation – A behavior or physical feature that develops in response to a plant or animal’s environment. Abiotic – Non-living elements of an ecosystem, such as soil, rocks, air, and water. Biotic – The living elements that make up an ecosystem, such as bacteria, plants, and animals. Temperate – A climate with less extreme temperature changes and precipitation throughout the year. Tropical – A climate with higher temperatures and rainfall year-round. Forest Biome – Many tall trees concentrated over a large area. 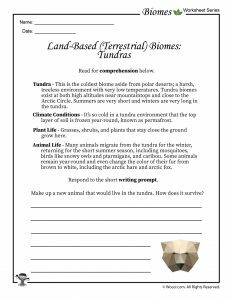 Tundra Biome – A harsh, treeless environment with very low temperatures year-round. 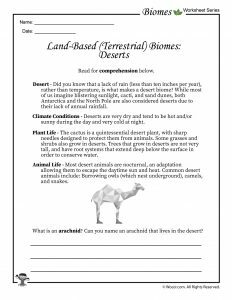 Desert Biome – A harsh, treeless environment with less than 10” of rainfall year-round. Grassland Biome – A biome with large areas of grasses compared to trees. Ocean – A large, deep body of water with a high salt content. Freshwater Biome – Any body of water that does not have a high salt content, such as a lake, stream, or pond. Permafrost – Climate conditions so cold that the top layer of soil remains frozen year-round. Natural elements, such as grass, moss, leaves, stones, and sticks. Give each biome a number from 1-8 (tropical forest, temperate forest, taiga forest, tundra, desert, grassland, ocean, freshwater). 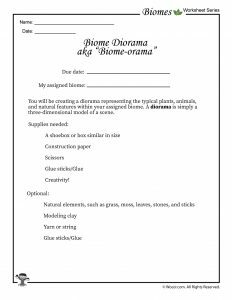 Assign a biome number to each student and have them create a diorama representing the typical plants, animals, and natural features within that biome. Divide the class into groups, one for each type of biome you’d like to cover (tropical forest, temperate forest, taiga forest, tundra, desert, grassland, ocean, freshwater). Have each group research the physical features, climate, and plant and animal life for their biome. 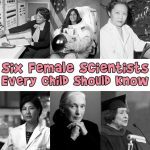 Have students refrain from guessing until each member of the group has the opportunity to present a question.